Known for her intuitive sequencing and beautiful music, Amy Leydon has been a pioneering force in the Boston yoga scene for the past 15 years. She brings an element of meditation and philosophy into each of her classes and gives her students a reprieve from the outside world while offering them a deeper understanding of their inside world. 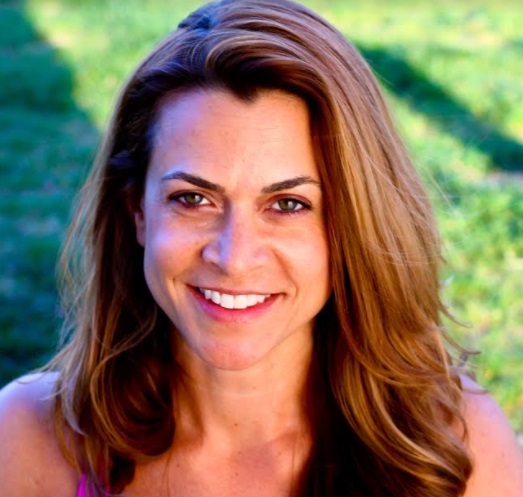 A dedicated student of various forms of yoga, Amy’s main influences include Barbara Benagh, Shiva Rea, and Tom Myers. Amy was awarded “Best of Boston” by Boston Magazine. She leads retreats and workshops around the world, heals one-on-one through her Postural Yoga Therapy, hosts 200 hour yoga teacher trainings, and is a Crane and Lion ambassador. Her biggest accomplishment (and challenge) to date is raising the sweetest little guru on the planet, her four-year-old son. Move to music, have fun, teach in a highly accessible way, get a tan, be silly with my son, barrel curls, acceptance. Practicing. I’m not a naturally calm or serene person. I’m not naturally flexible or fit. I love junk food and wine. Everything I do is a work in progress and I continue to practice every day. I work on being a good mom and raising a good kid. Nurturing my marriage so we can grow old together, happily. Figure out a way to spend most of the summer on the Vineyard. I look forward to teaching more teachers in the future and integrating more emotional healing within my yoga teaching. I want to get my Master’s in Holistic Therapy. Creating a child and raising that child. Creating a successful and meaningful career through yoga. When my mom died. It’s been a little over a year and it’s been the most difficult thing I’ve ever gone through in my entire life. Work hard, play hard…kidding. I’m all about finding balance. My son, my husband and his family, my sister and her family, my friends, my mom, Brene Brown, Shiva Rea, Barbara Benagh, all the incredible yogis in Boston. Martha’s Vineyard, Costa Rica, Tulum…I love the beach.